I was in Kuala Lumpur, Malaysia, over the weekend with my family. The Singapore school calendar includes a month long break in June and at the end of the year instead of a two-month long summer holiday. After all, it is endless summer in Singapore anyway, so it is hard to pin-point a ‘summer’ holiday here. Well, as usual, we were visiting family and friends. My understanding is that whenever I see a senior gentleman in the family (sometimes even outside the family), I should simply address him as uncle. This time I was seeing my wife, Moon’s, extended family. She had two uncles – one whom I met over 10 years ago and another one whom I have never met before. I was introduced to Uncle Choong Loui’s grand-daughter, Rebecca, who is a very bright, charming 4 year-old girl. Uncle Choong Loui and his wife, Julie, were very nice and figured out that being a Hong Kong boy, I must miss Dim Sum. Thus they brought us to a fantastic Dim Sum restaurant – Oriental Pavilion in Petaling Jaya, Selangor. 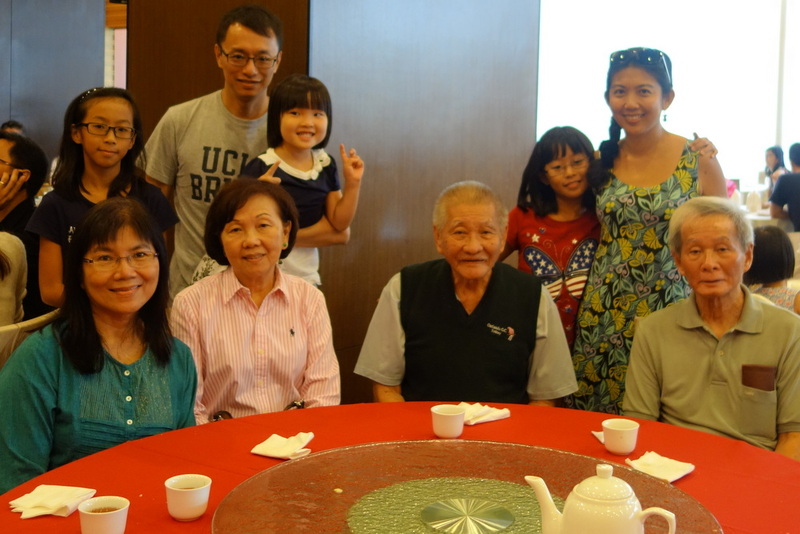 Over brunch, Mo on figured out Uncle Choong Hing, the elder brother of Uncle Choong Loui, was actually Dr. Lee Choong Hingfrom the 1959 class of medical graduates from the University of Malaya. That was exactly the same class as our good colleague/neighbor, Dr. Tay Chong Hai, at the Mount Elizabeth Medical Centre. Dr Tay is the only doctor in Singapore who has a syndrome was name after him – the Tay Syndrome. Usually, we read about this syndrome and that syndrome, where we only hear the name but almost never would we have a chance to get to know the individual whom the syndrome was named after!! Uncle Choong Hing and Dr. Tay actually went back all the way to high school, the Victoria Institution in Kuala Lumpur, Malaysia. Uncle Choong Hing fondly remembers Dr. Tay as the ‘poet’! What a small world! Uncle Choong Hing shared a few stories about himself operating on cancer patients with some of the legendary professors and how he prepared himself for old age medical problems in his post-retirement time – he simply walked 30km daily!! I can see that those hours of hard work are paying off now. When I knocked at the door of Dr. Tay after I was back in Singapore the next day and told him about my ‘uncle story’, he immediate broke into a broad smile and said, “Ah, Choong Hing. He loved to crack jokes.” I guess we all revert back to our boys’ days when we think of our childhood friends. Dr. Tay, being a very active senior, will be organizing the 55th anniversary class reunion in July this year. I am sure they will have many stories to share.